Yesterday I cleaned out the vacuum cleaner, a Dyson, designed to remove dog and cat hair. I used the compressor in my husband’s workshop, this great long thin nozzle attached to a bulky machine that lets off the most ungodly groaning when in action. The compressor blasts a wind so strong it can strip dust from within the body of the vacuum cleaner and from the surface of my hands in great swathes. 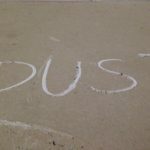 One of my daughters once wrote an essay on the nature of dust. 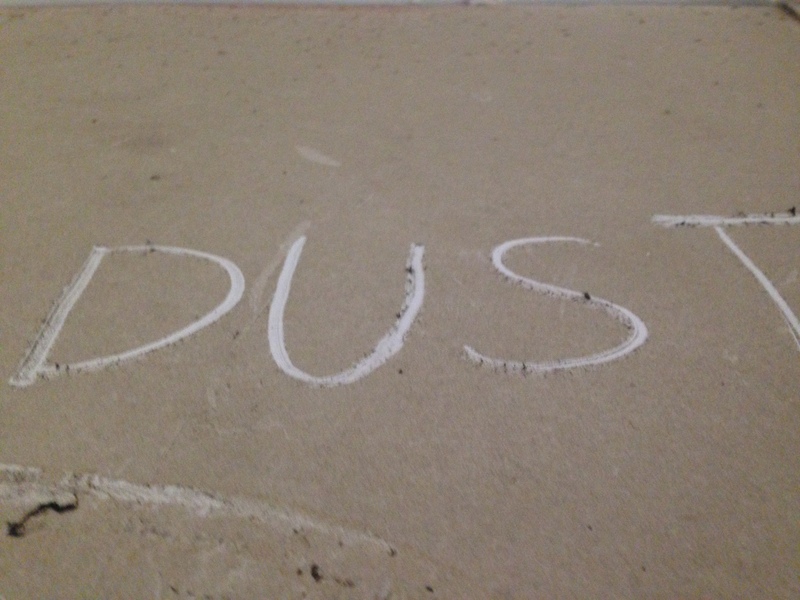 Who’d have thought dust held such meaning as to oppress whole generations of women throughout the centuries, women who were given the endless and thankless task of removing it. You strip the dust from the vacuum cleaner and with one or two more times around the rugs in the house, the vacuum cleaner is full again. I went though a phase where I first discovered the satisfactions of cleaning out a house to within an inch of its life when I was young. 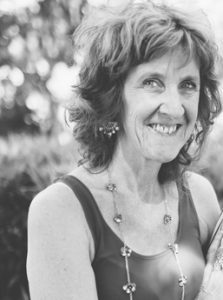 I lived with my then boyfriend, Paul, a gambler, and every Saturday he went off to the racetrack to win or lose the money we needed to live off. Mostly, he won enough to keep us afloat. In those days, I was a student on a government allowance of $12 a week, hardly enough to feed us, let alone pay the rent. Paul paid for everything in the last two years of my undergraduate life and in return I kept house. It seemed a fair enough trade, especially as I reasoned one day I’d complete my studies, get a proper job and then it could be Paul’s turn to be kept, his turn to go back to study. His turn to keep house. This in the later stages of our time together became our shared dream after Paul came to realise the life of a professional gambler was not all it was cracked up to be, unless you had millions to play around with. The big rollers could do it, the men of wealth, but not Paul. His pockets did not extend to coverage of even small losses when they happened often enough. The power bill languished on the hall table unpaid and we worked in the dark. In the meantime, I learned to live an unexpected life, a life of uncertainty when it came to money. Cleaning was different. Cleaning I could control. To this end, I splashed whole buckets of water, laced with bleach, across the patch of lino in our kitchen and watched the layers of filth slip off to reveal a pale green colour underneath. But the floorboards were tricky. They were coated with years of grime, this in our Black Rock home, the one Paul rented for a song. It stood as a half house over the road from the beach and I didn’t realise it at the time, its owner was biding his time till he could find a decent buyer who would turn this house, half of which Paul and I occupied, into a luxurious block of flats overlooking the sea. The place was ready for demolition. It held land value only. When I think back on how much cleaning of that thankless place I went through, I’m awed by my sense of the waste, especially when I reconsider the endless process of cleaning and how mindless it became. I realised this most clearly on a Saturday night all those years ago in the Black Rock half house when Paul announced he’d asked friends over. Normally keen to enjoy visitors, I found that day I did not want them around. They’d only make a mess of my pristine handiwork. They’d leave dirty dishes around the rooms and grit in the carpet. They’d mess up the toilet, which I had domesticated back to sparkling white porcelain. After cleaning, I preferred to keep people in the house to a minimum. Even at the time, I considered there was something misplaced about wanting to keep people away in order to keep a house clean. In time, I left Paul and most of my obsessive cleaning habits behind, though once a year, at Christmas time, I try to conduct a similar clean. This year I’m hampered by my wrist. This year I’m slowed in my tracks. This year I have to leave the thankless dust to accumulate until next year, by which time I might realise the thanklessness of the task and pay someone else to do it for me, or even move to a smaller place, though that’s unlikely for several years to come.